Home > Domain stories > Featured > UDRP cases – is there a consensus in the decisions? UDRP cases – is there a consensus in the decisions? The more precious domains you possess, the more fear you should have from being hit by an UDRP case. UDRP, Uniform Domain-Name Dispute-Resolution Policy is a dispute resolution center, where disputes arisen from abusive registrations of domain names may be addressed; namely the holder of trademark rights can file a complaint against domain holders that allegedly violate their rights and can request the domain transferred to them. The fee of filing an UDRP complaint is currently USD 1500. One or three member Panel (the latter only if the Respondant requests it on his/her own cost) is then pointed out and the case is resolved in an expedited process, usually taking 2 months. There are thousands of cases yearly, about 5000 domains were hit by UDRP in 2011. Below I list some controversial decisions. Of course, every case has its own complexity, and not only the one aspect was the driving force of the decision, thus, I linked the whole documentary of the UDRP cases if you want to dig deeper. Domain renewal is a bad faith? An interesting, yet rather disturbing element is when domain renewal is considered as evidence of bad faith. In an UDRP case regarding videolink.com in May, 2015 the UDRP panel decided that the domain name be transferred to the Compliant, the trademark holder of Videolink. The trademark was filed in 2000 and registered in 2002. The domain name videolink.com was registered back in 1995, but renewed in 2010. The problem was that the domain has not been used, it solely resolved to a page with stating “under construction”. The proof of bad faith registration was fulfilled when the domain was renewed, and not the date of the original registration was considered, when the trademark did not exist. That also happened in the UDRP case of playworld.com, or in the case of sporto.com, as the UDRP panel stated, by renewing a domain you should be sure that you do not violate someone else’s right. Fearful, isn’t it? On the contrary, the UDRP case of babybanana.com ended up in the denial of the domain transfer to the trademark holder, where not the renewal, but the original registration date was considered (although the resolving page displayed click-through advertisements and an offer to sell the domain name – see discussion below). Domain Parking is a bad faith usage? There are a number of UDRP cases where the domain in question resolves to a parking page, or even buy now offer is displayed. As always, UDRP decisions are also controversial in this aspect if it should be considered as bad faith usage. There are many cases where parking meant a use of bad faith according to the UDRP panel, such as milly.com or holdon.com. In the latter case bad faith was simply determined by placing the domain on a parking page, although the ads displayed did not violate the rights of the trademark holder. So is parking an illegal business? No, sometimes, it is not: in the case of kubex.com the domain was parked at SEDO with PPC advertising. The transfer of the domain to the trademark holder was denied ““Respondent’s use of the domain name for general advertising also constitutes a bona fide use of it. Respondent’s willingness to sell the disputed domain name to Complainant for a price does not show a lack of rights or of bad faith because Respondent is the rightful and legitimate holder of the domain name.”. Frank Schilling was also able to beat Novartis in an UDRP case concerning clearcare.com. He could win the case by showing that legitimate interest can be a business involving buying expired domain names and using them for parking purposes. A related field – listing of a domain for sale violates trademark holder’s rights? The domain listing for sale sometimes – but not always – is regarded as bad faith. As an example, in the UDRP case of Formcenter.com, the domain was transferred to the Complainant – despite of the Complainant not having an active trademark! The decision was based on the fact that the original domain owner possesses a domain portfolio and the domains are listed for sale. On the contrary, in the case of bilt.net, the transfer was denied, stating that listing the domain name for sale is not a proof of bad faith. And what about dictionary words? As always, the decisions are controversial: for example, carrefour.company was transferred to the trademark holder – although Carrefour, the supermaket chain is not active in Canada, the residency of the Respondent. The original owner of the domain was based in Canada and operated a website for selling premium domain names. In his response, he pointed out that carrefour is a dictionary word (meaning crossroads in French) and there are a number of organisations in Belgium and Canada which use Carrefour as part of their name. In spite of these, the domain had to be transferred to the trademark holder. There are other dictionary word domains that were taken from the original owner. Frank Schilling’s domain, chillibeans.com was also taken. Or the famous story of ovation.com, which was registered as a dictionary word in 1994, and was hit by UDRP in 2014. The trademark holder registered its trademark more than a decade after the registration, in 2008. The domain was taken from the original owner because he owned 107 domain names – an obvious proof of bad faith, isn’t it? As always, there is a hope in this aspect as well. In the UDRP case of traveller.tools, the domain was saved, since the the UDRP Panel accepted that “traveller” is a dictionary word and it potentially has a multiple good faith uses. Domain was also saved in UDRP cases of neurones.com and beautifulpeople.com. So now it seems to be easy to get a domain name you want – just file a trademark and then a complaint to UDRP. In some cases of premium domains it would indeed be cheaper than to buy the domain legally. However, it is not as easy as it seems. In order to avoid attempted thefts of domain names by an abuse of the system, in cases where the UDRP complaint was denied, the original domain owner can fight back for compensation. Hallofshame.com, operated by Rick Schwartz, collects stories of reverse name hijackers. In summary, it is extremely hard to register any domain which does not violate a trademark holder’s right: as general words have trademarks and confusing similarity is a very subjective thing: as an example phhh.com was taken from the original owner by the trademark holder of PHH Corporation. Also, 32X.com was taken by 32Red because of confusing similarity. Even if you register a domain and a trademark comes after your registration, you might be considered as acting in bad faith just because of renewal of your property (see above). I wish a consensus of UDRP decisions would arise and clear regulations would ease the life of domainers. 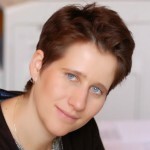 Eszter has a PhD in Biology and lives in Budapest, Hungary. She published many research papers in leading scientific journals about web services. She has been online since 1994 and a web enterpreneur since 2006.